Fitness and Firearms with a Winning Mindset! Over the past several months I have made goals for myself! For the first time in my life I understand what it means to be competitive. Setting goals with a winning mindset has made for a good year of improving my conceal carry skills along with my goals for competitive shooing. But with that, I realized what I have gotten out of my volunteer work as a leader with The Well Armed Woman has soared to amazing heights. The Well Armed Woman planted the seed, but a group of us have bonded in a way I could never imagine. Through competition and teamwork, so much has come out of our little chapter that is now a big chapter in Orange County New York! Most recently a group of us fulfilled our goal together becoming more fit and completed a Spartan Sprint. I had planned to write about it on my blog, but one of my friends already did, with my sentiments. So rather then write it, I'm sharing her blog. I send you off with.... No matter what your fitness level is, it is very important to get some level of fitness into your daily life. Especially for those of us who incorporate firearms training into our lifestyle. With that said read and enjoy my friend Jackie's blog Tri-State Gun Girl Blog- The Power of Women Fitness and Firearms! . Your average small town girl! So you thought! 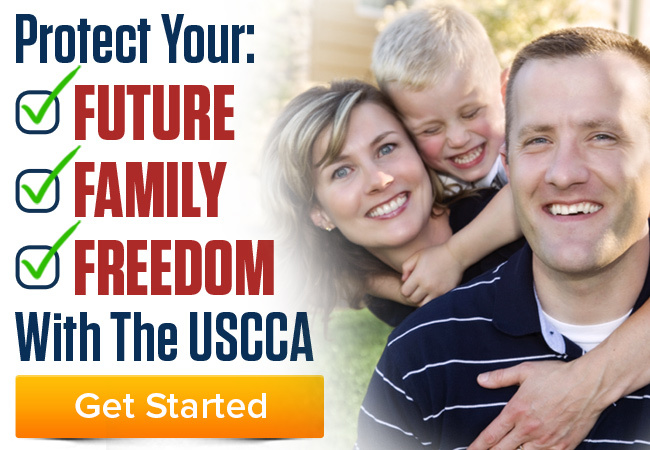 USCCA is the ultimate solution for responsible, American gun owners.